Formula One had become unused to tragedy, let alone tragedy on this scale. Not for 12 years had a driver lost his life at a Grand Prix, and for what seemed like a whole generation of racing people, the experience was new and shocking. Crashes never ceased, of course, for men are fallible, but everyone had grown used to feeling apprehension, then relief, as drivers walked away from them again and again. It was just so on the Friday of San Marino Grand Prix weekend when sophomore driver Rubens Barrichello launched his Jordan Grand Prix car off a curb and flew airborne, horrifyingly, into a tire barrier. He was OK, somehow, but the next day Austrian rookie Roland Ratzenberger died instantly when his Simtek-Ford suffered a front-wing failure, pitching him hard into a concrete wall during qualifying. Three-time world champion Ayrton Senna, who had never before been present at a race where someone died, was distraught. Twenty-four hours later, Senna, too, was gone. Toward the exit of the flat-out Tamburello corner, a bumpy left-hander, his Williams-Renault veered suddenly to the right. 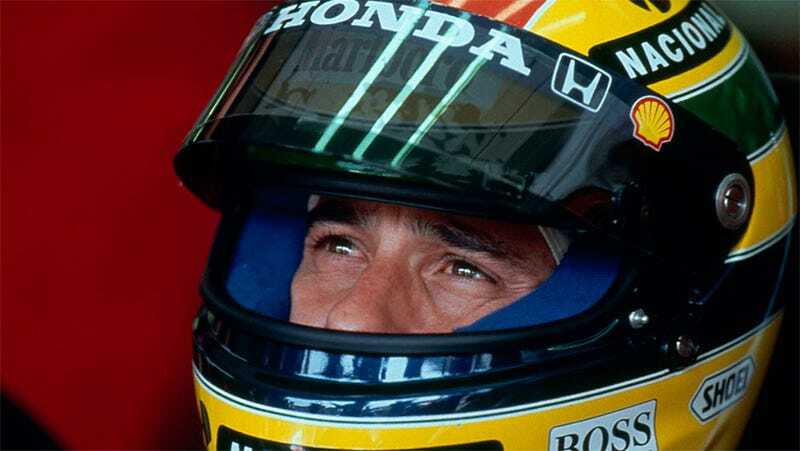 Inconceivable as it seemed to so many, Ayrton got into a situation even he couldn't recover from; there were initial suggestions the car's steering failed, but subsequent investigations proved inconclusive and contradictory. Autoweek is commemorating the passing of Ayrton Senna and celebrating the great man himself, all day today. Check out our in-depth coverage of the eternal champion, below. Alain Prost on Ayrton Senna: "Between us, we can screw all the others!"